If you put any four people in a room and show them designs, they’re likely to have four different opinions on which are most attractive — and which they’d avoid at all costs. If you put four consumer lenders in a room and show them credit reports, they’ll likely share the same opinions on what makes for an attractive credit report — and what gets an instant rejection. No matter who you ask, late payments are an unattractive sight to most lenders, as they tend to indicate someone who can’t pay their debts. Thankfully, there may be steps you can take to remedy the situation if you have late payments making your credit reports unattractive to potential lenders. Depending on the state of your credit reports, the easiest way to attempt to remove erroneous, outdated, or unsubstantiated late payments may be to hire a professional credit repair company. An experienced credit repair company can dispute potentially removable late payments with the credit bureaus on your behalf, taking care of all of the legwork — including staying in contact with your creditors and the bureaus and following up on removals — to make the process as smooth as possible. Before signing an agreement with a credit repair company, be certain to research the company’s experience and reputation. This should involve checking with consumer protection bureaus, such as the Better Business Bureau (BBB), as well as reading consumer and expert reviews. You should also ensure you understand all of the potential fees you’ll be charged for the service. Most credit repair companies will offer a free initial consultation to determine which, if any, of your negative credit report items may be eligible for removal through credit repair. For some consumers, it may be worthwhile to simply file your credit report disputes yourself directly with the credit bureaus, particularly if you only have one or two items to dispute and don’t want to pay for a professional. While credit report disputes once required writing a physical dispute letter and mailing it to the bureau’s offices, you can now file most disputes online through the bureau’s website. You’ll need to file a separate dispute with each bureau for each individual item you wish to have removed. So, if you want to dispute the same late payment that shows up on all three credit reports, you’ll need to file three separate disputes, one with each credit bureau. When you file, be sure to include any and all relevant documents to support your dispute, including (but not limited to) correspondence with your creditors, filed identity theft or fraud reports, bank or credit card statements, and returned checks. 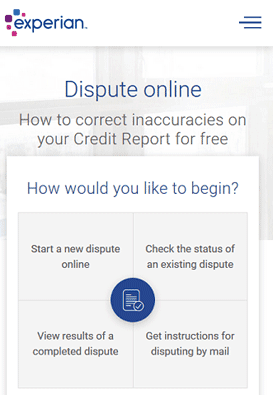 You can file online disputes with all three credit bureaus through their individual websites. You can scan any important documents to your computer to be submitted online. If you choose to physically mail your dispute, be sure to only send copies of your documents, never the originals. You should also keep a copy of your dispute and all submitted materials for your records. After a dispute is filed, the credit bureau has 30 days to respond to the dispute. This process will involve the bureau forwarding your dispute and documents to the party that provided the disputed information in the first place. The information furnisher must then investigate the item in question and report the results to the credit bureaus. If the information provider finds the disputed item to be inaccurate, it will need to notify all three credit bureaus of its findings. It’s important to understand that credit repair is not a magic fix for everything. If the investigation shows the late payment to be legitimate and the creditor can back up its claim, the item won’t be removed from your reports. In general, the only late payments that can be removed from your credit reports through credit repair disputes are those that are inaccurate, mistakenly reported, unsubstantiated, outdated, or the result of fraud. While the credit bureaus can control the information that shows up on your credit reports, the information furnishers — i.e., your creditors — can also request that items be removed. Known as a “goodwill” removal, some creditors will remove a late payment from a customer’s credit reports when requested. Of course, there’s a catch: you need to be on good terms with your creditor, well above and beyond that late payment. Basically, goodwill removals are just that: a gesture of goodwill by your creditor as thanks for your custom. As such, the best results will typically be seen by those who have an otherwise spotless payment history and/or a long-standing relationship with their creditor. You’ll also need to be completely current on your debts. Goodwill removals can be requested by writing a letter to your creditor and mailing it to the customer service department, but more modern methods — such as calling the customer service line or sending an email — can also be effective. At the end of the day, the only surefire way for a late payment to be removed from your credit report is for it to naturally age off. 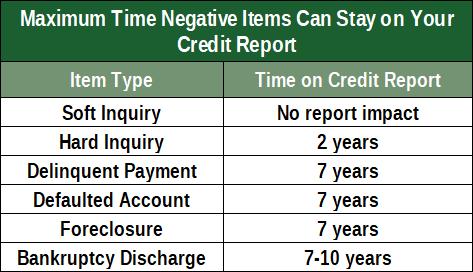 In essence, all negative items have a specific amount of time they can hang around your credit reports, after which time they have to be removed. In the case of late payments, that time limit is seven years from the date of delinquency. After the seven years have passed, the late payment should come off of your credit report automatically. If outdated items don’t automatically come off of your reports, you can file a DIY dispute with the bureau and have it removed fairly quickly. You may not need to wait the full seven years to see your credit score recover from a late payment, however. 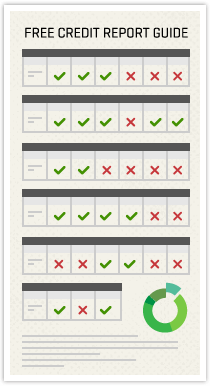 Most, if not all, credit scoring models give more weight to your recent credit behavior and less to older items. This means that negative items have less impact on your credit score the older they get, with some losing the bulk of their influence well before they age off of your report. You can further offset the impacts of an aging late payment by ensuring you have a robust recent positive payment history. If your late payment looks more like an aberration than a trend, its impacts on your credit score will be greatly reduced. Regardless of the style, it seems that nearly every look comes in and out of fashion when given enough time. And that rule can even apply to your credit reports. No matter how ugly late payments have made your credit reports appear to lenders, time can help them look better — well, time and hard work. Rebuilding a positive payment history and waiting for late payments to come off of your reports can turn an eyesore of a credit profile into an attractive addition to any lender’s financial portfolio.